I found this somewhere and I think it’s worth to write a short (only a very short) entry. If you use this expression in your C# code it will throw a NullReferenceException. That is because the throw-statement needs an object of type Exception as its single parameter. But this very object is null in my example. I like this way to produce some exception while testing code. It was very silent here in the past month. That was mainly because I was working on my diploma thesis until the end of September. After that I did my final exam and started working in Bonn. Now it is December and almost 2009. I’m sitting in a plane to Australia for holiday and have much time to write articles. I will try to keep this blog alive and will write articles more frequently. Today I will introduce Flow. 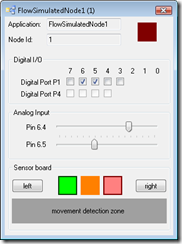 With Flow you can model the behavior of nodes in a wireless sensor network (WSN) in a data driven and event driven manor. I developed Flow as part of my diploma thesis. Flow is build as a Visual Studio Addon (a VS Package) on top of the DSL-Tools containing three different domain specific languages to describe different parts of the software running on a sensor node. These different DSLs are working together and using most of the techniques I described earlier in this blog. E.g. my library JaDAL was initially build to support this diploma thesis. You will find screenshots, more explanations and Flow itself on http://flow.irgendwie.net. While the webpage and the software are available in English the thesis itself is a pdf-document and can only be downloaded in a German version. 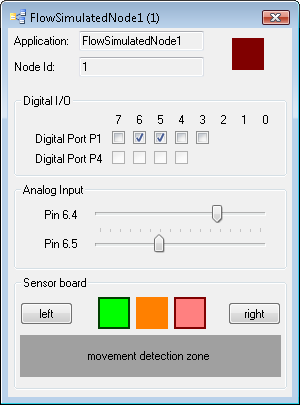 The software is fully working and if no wireless sensor network is available you can use a node simulator to evaluate Flow. The code is released under the new BSD license and also available for download. For more information just visit http://flow.irgendwie.net.